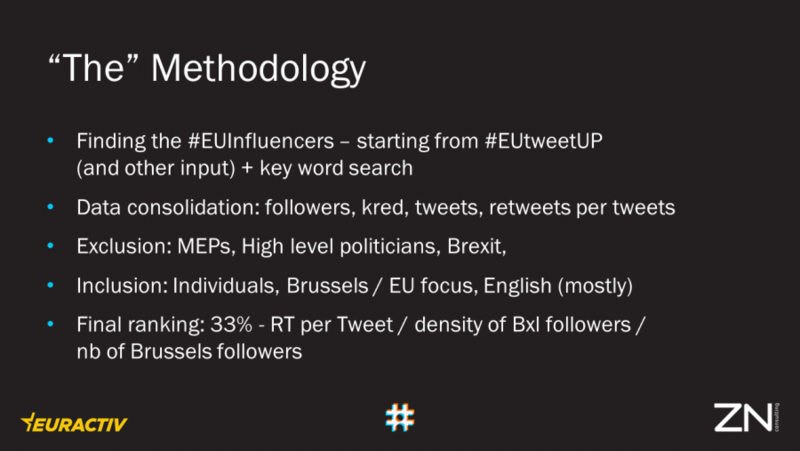 Who are the EU digital influencers? How are they shaping Europe? How are digital influencers shaping the future of Europe? Is there a future for the printed press? Who really holds the power in Brussels? On October 19th, EURACTIV & ZN are organising an event exploring the impact of digital tools on European politics. This event will bring communicators, policy makers and digital influencers together in a debate focused on the future of the political conversation in the EU. Leading digital influencers will share their insights, tips and tactics to use social media to drive issues and change perception. EURACTIV journalist Jennifer Baker and ZN’s CEO Philip Weiss will moderate discussions about the power of digital #EUinfluencers.